The object of this exercise is, again, to photograph movement and note how different shutter speeds affect the results. 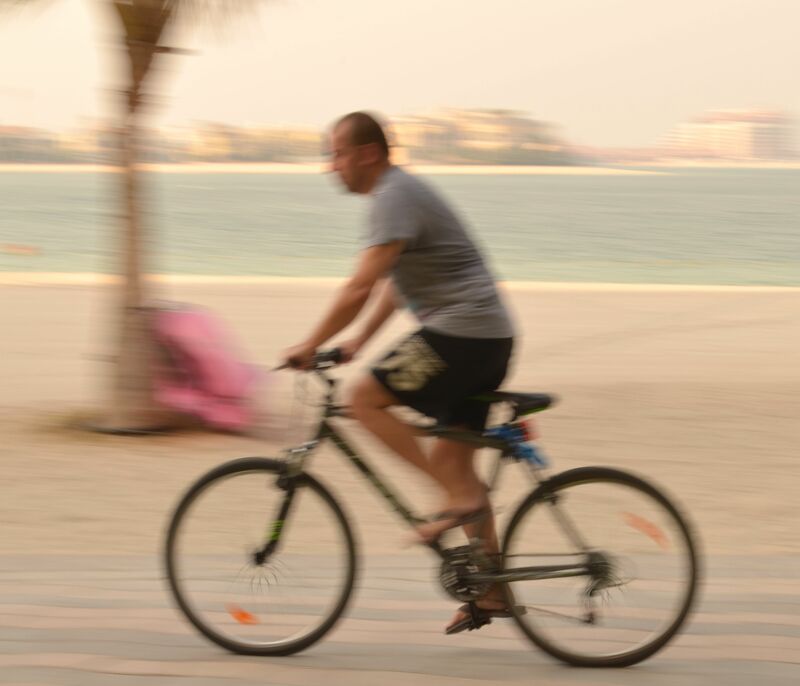 I will also experiment with a technique known as panning; following a moving subject with the camera and keeping it in the frame. 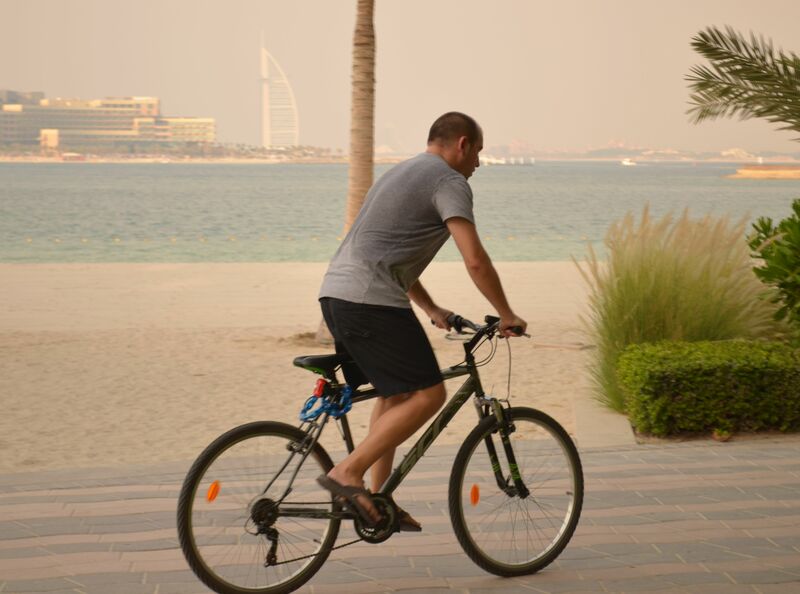 For this exercise I decided to continue photographing the cyclist from the previous exercise in order to directly compare results. My camera was set on a tripod, but with the head loose to allow the camera to swing around. 11. 55mm, F5.6, ISO 100, 1/400. Images 9, 10 and 11 were taken with a 1/400 s shutter speed. The image is sharply frozen with no sense of movement. Images 12, 13 and 14 were shot with a 1/200s shutter speed. Again, the subject is sharply focused. 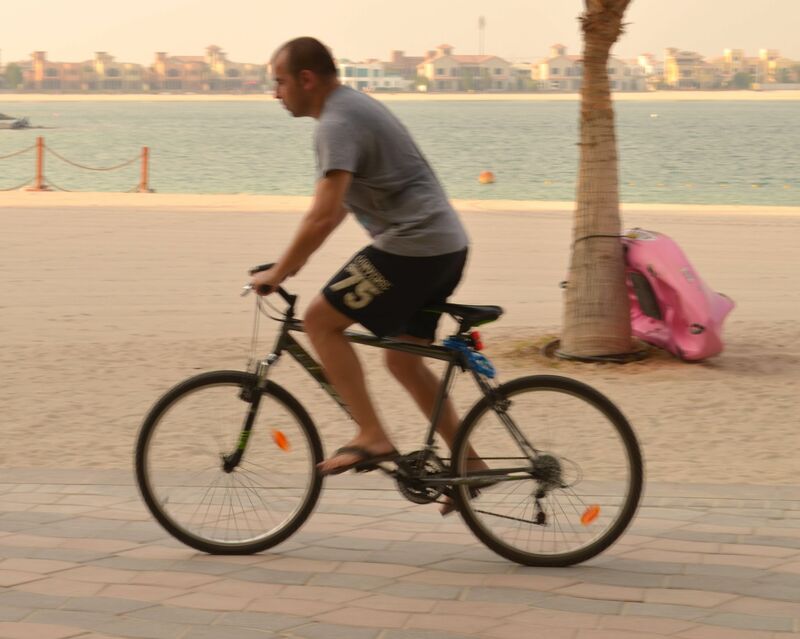 However there is a slight sense of blurring in the background. With the camera set to 1/100s shutter speed there is a little motion blur with both the subject and background, although this may also be a result of my still developing panning skills. Images 18, 19 and 20 were taken with a 1/60s shutter speed. This shutter speed seems to capture the subject fairly sharply while allowing the background to become streaked. This gives the impression of movement. I think image 19 is a particularly good example of this. 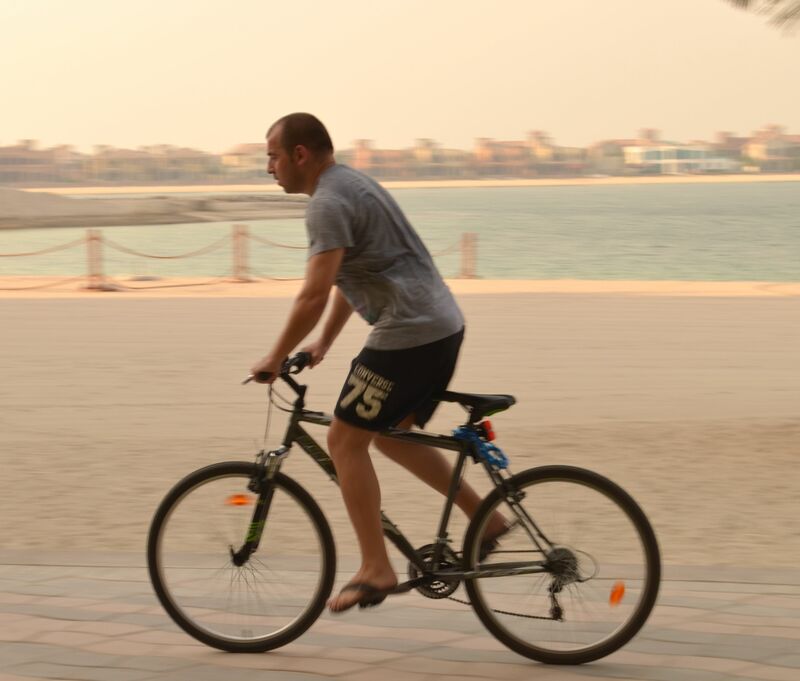 At a 1/25 s shutter speed both the subject and background have become blurred. This further increased as I reduced the shutter speed to 1/10s, as seen below. The motion blur in this photograph conveys the the idea of movement and speed. I compared the images 1-8 from the shutter speed series with the panning series images 9-22 to select the photograph that I like most. 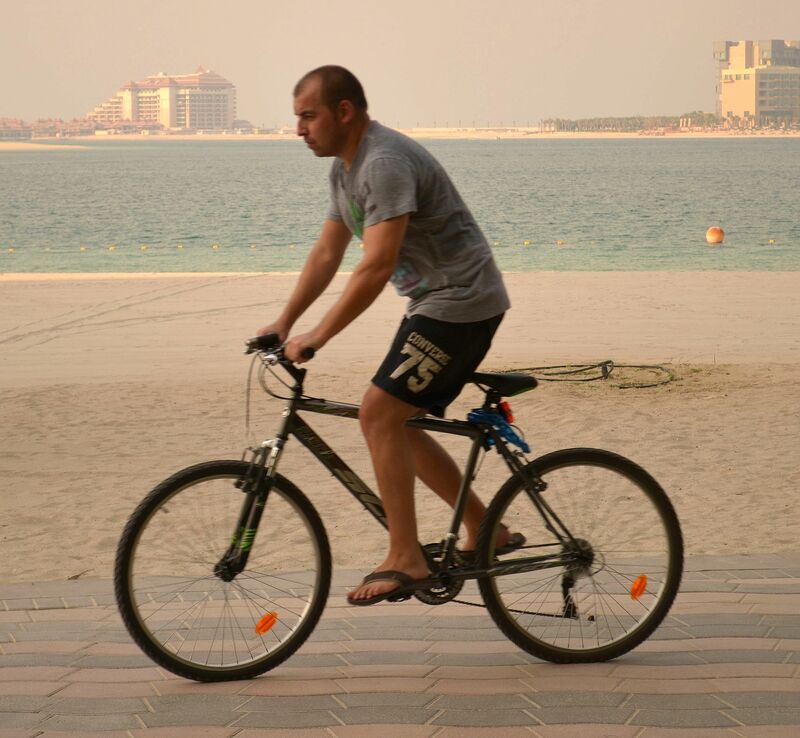 The images taken with a fast shutter speed, such as 1/400s, resulted in sharp photographs with the cyclist and the location identifiable. However, they did not show movement. The photographs with some degree of motion blur seemed to appeal to me more. 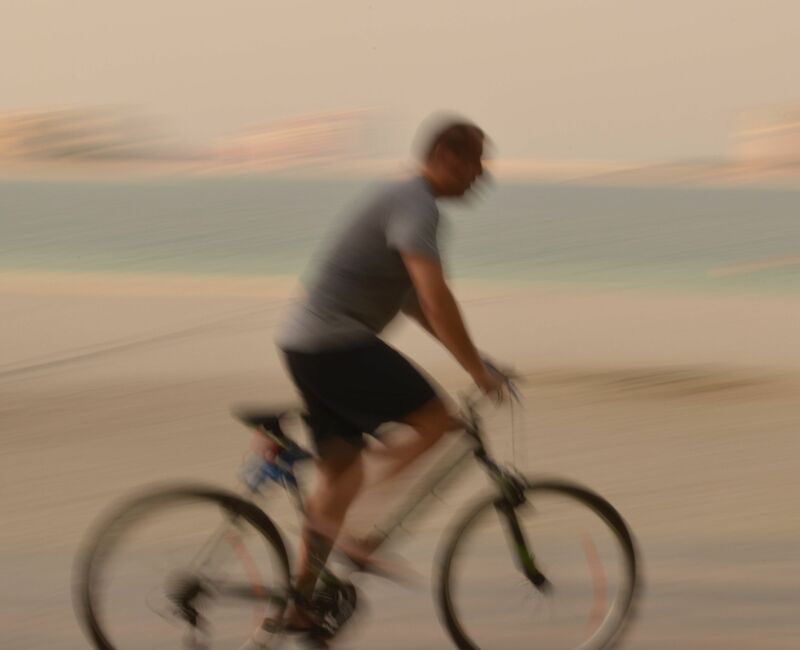 However, image 22, which has both foreground and background blurring, made me think of not only the cyclist racing by, but also the world rushing past. The image that I preferred was image 7 from the Shutter speeds exercise. 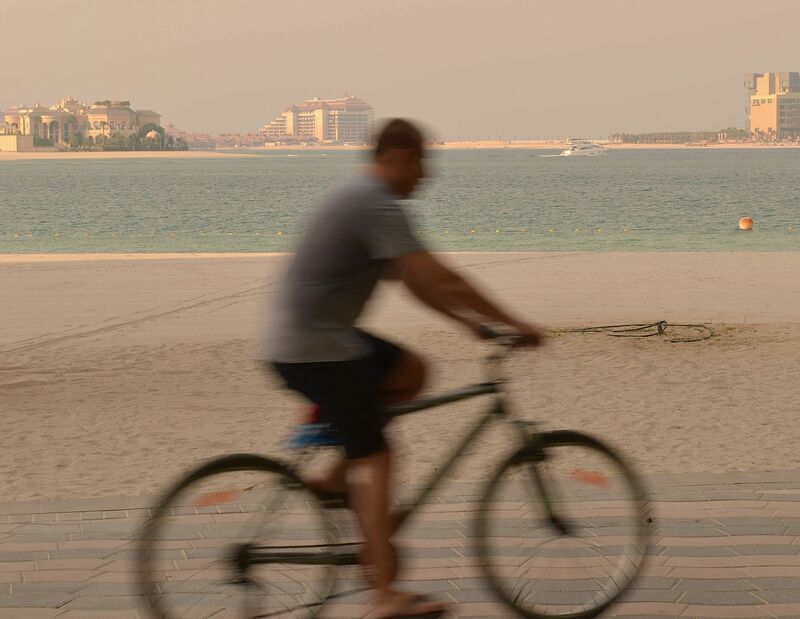 The 1/20s shutter speed has captured the movement of both the bicycle and cyclist while the buildings in the distance remain fairly sharp. This shows both motion and speed in the photograph subject. This exercise has shown me the effect that differing shutter speeds and panning can have in photographing movement. I also found that panning was more difficult that I initially realised as noted by the slight blur in images 15, 16 and 17 take with a 1/100 s shutter speed. 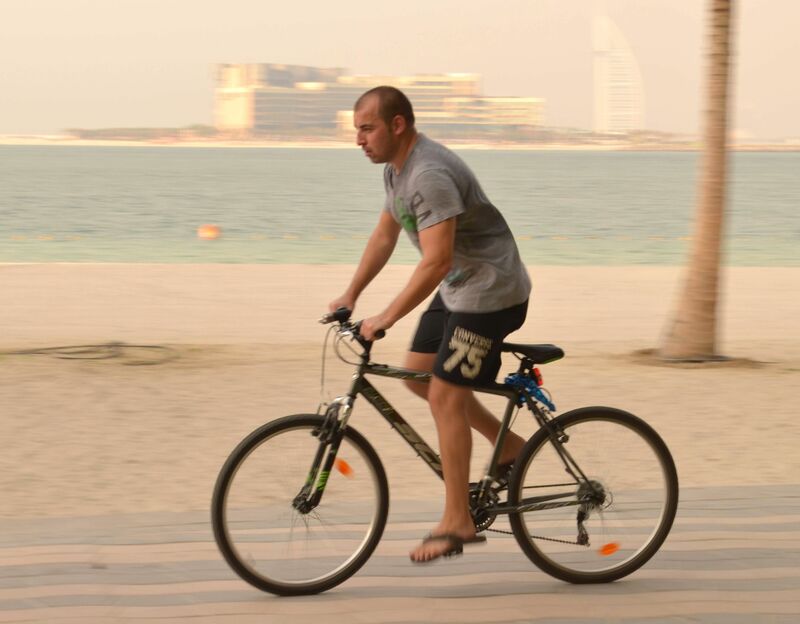 This entry was posted in 03a- Panning with different shutter speeds on July 3, 2012 by catherinefinniganphotography. The aim of this exercise was to use my camera’s shutter speeds to photograph movement. This required a subject (rather unsurprisingly) that moves. 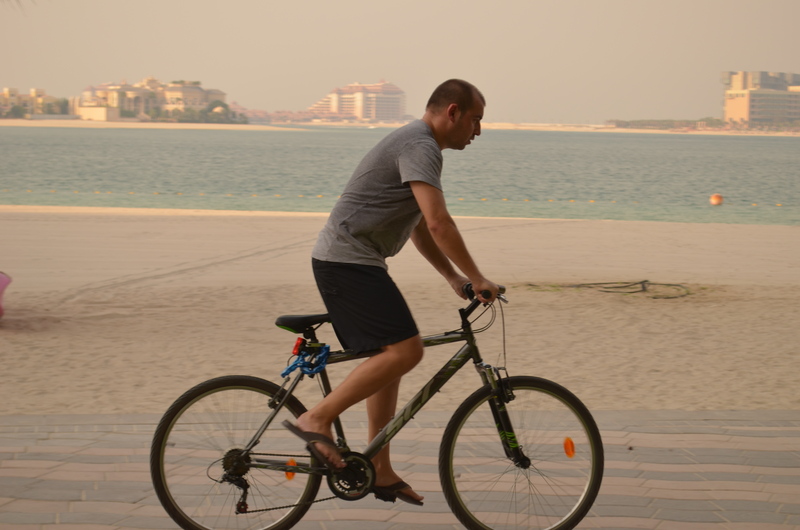 I chose to photograph someone riding a bike at a beach side setting. While the background does contain a few structures in the distance I still consider it simple enough not to detract from the subject of the photograph. 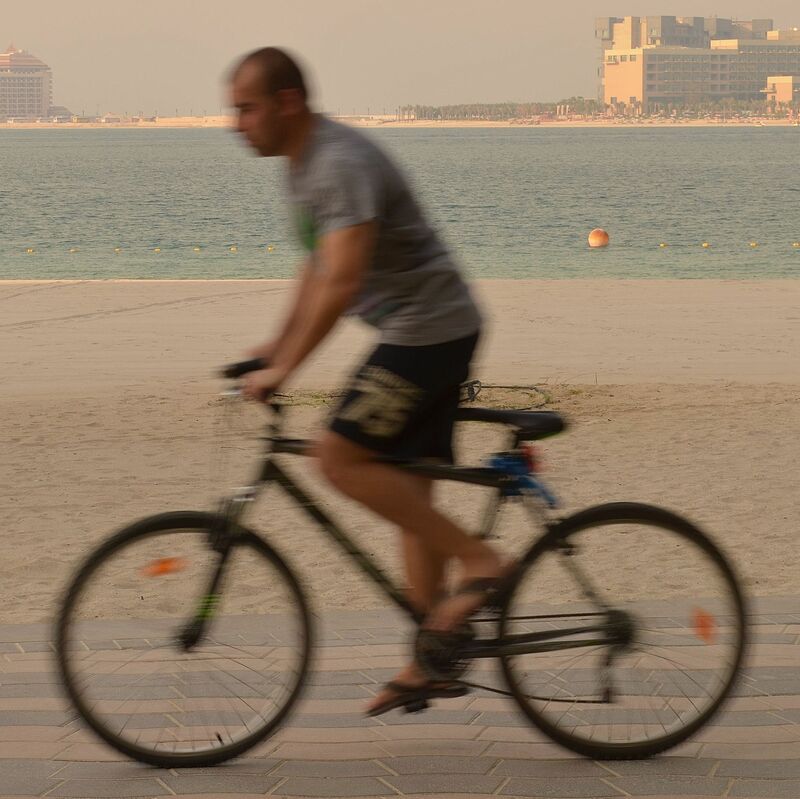 I set the camera on a tripod and took a series of shots, adjusting the shutter speed each time, as the bicycle rider cycled back and forth. I selected Shutter priority on my camera to ensure that the camera would select a suitable aperture for each shot. I started with a shutter speed of 1/400. At this shutter speed there is little sense of movement. 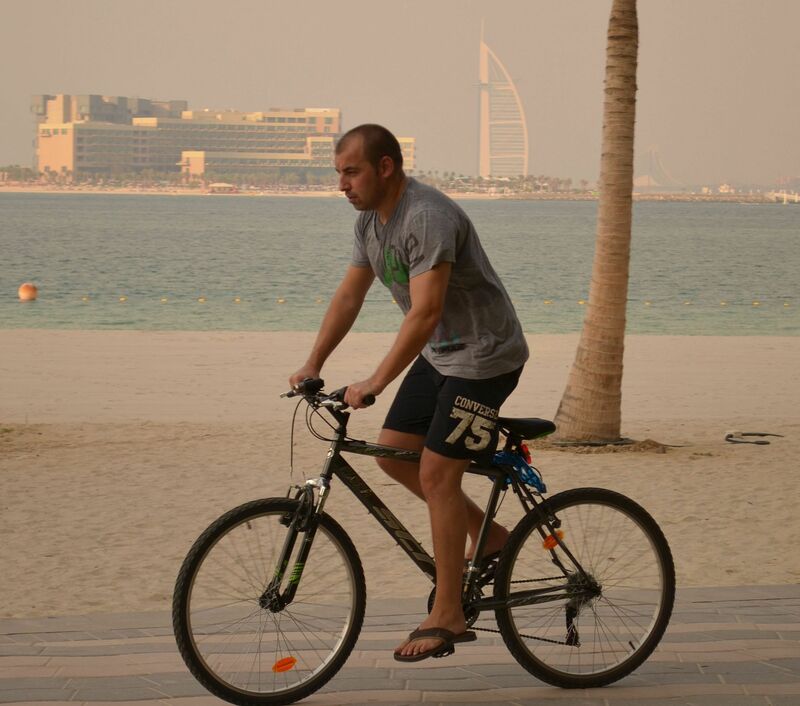 Each spoke in the bicycle wheel is visible and the cyclist appears static. With the shutter speed set to 1/200 there is no immediate sense of movement in the photograph. 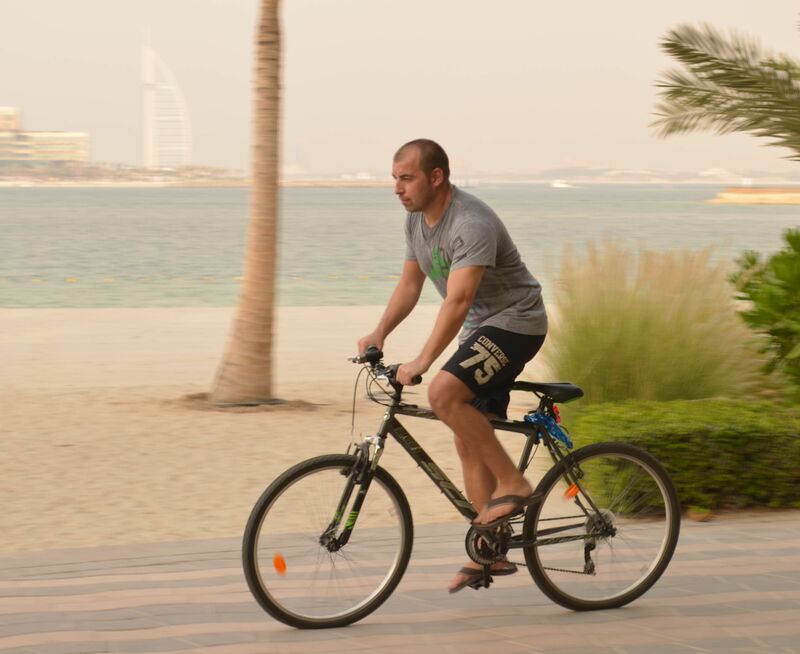 Again, the spokes in the wheels of the bicycle are visible. 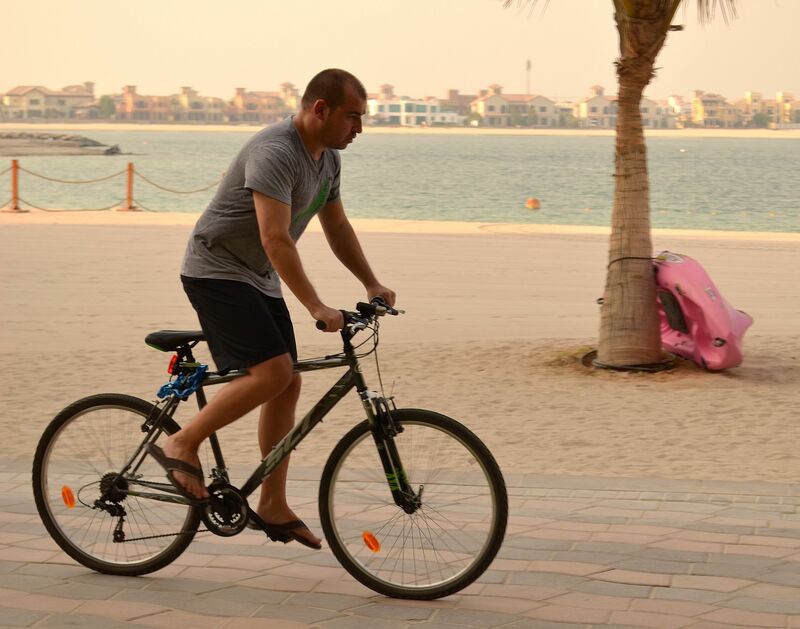 However, when you look closely there is a a little blurring around the cyclist’s foot as he pedals. This was the slowest shutter speed I used which rendered the subject relatively sharp. 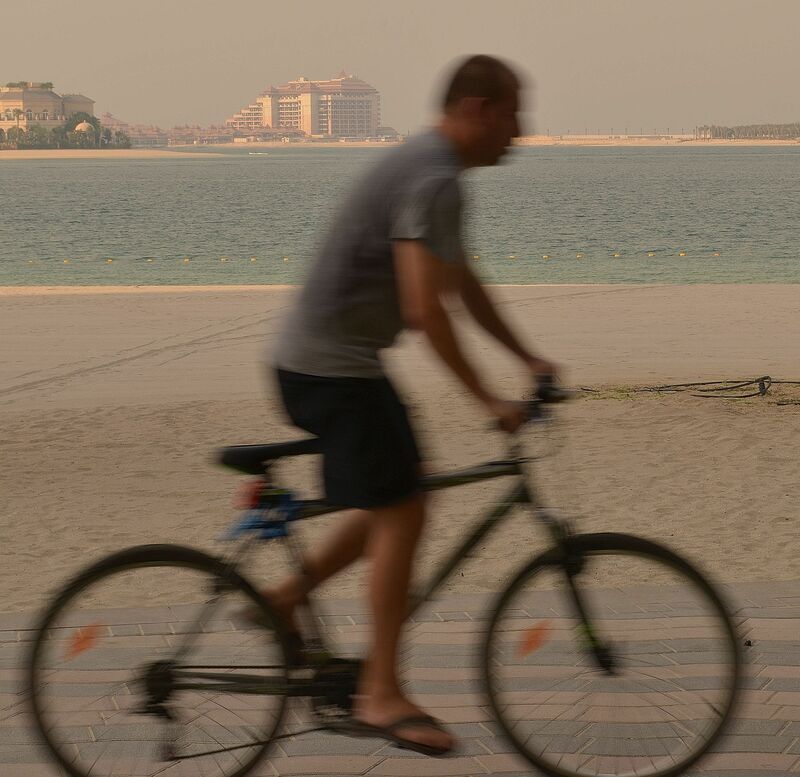 As the shutter speed gets slower there is some very obvious blurring both with the cyclist and bicycle. The blurring increased as I slowed the shutter speed down from 1/125 to 1/80, then from 1/60 to 1/40 of a second. However, the back ground in each image has still remained fairly sharp. 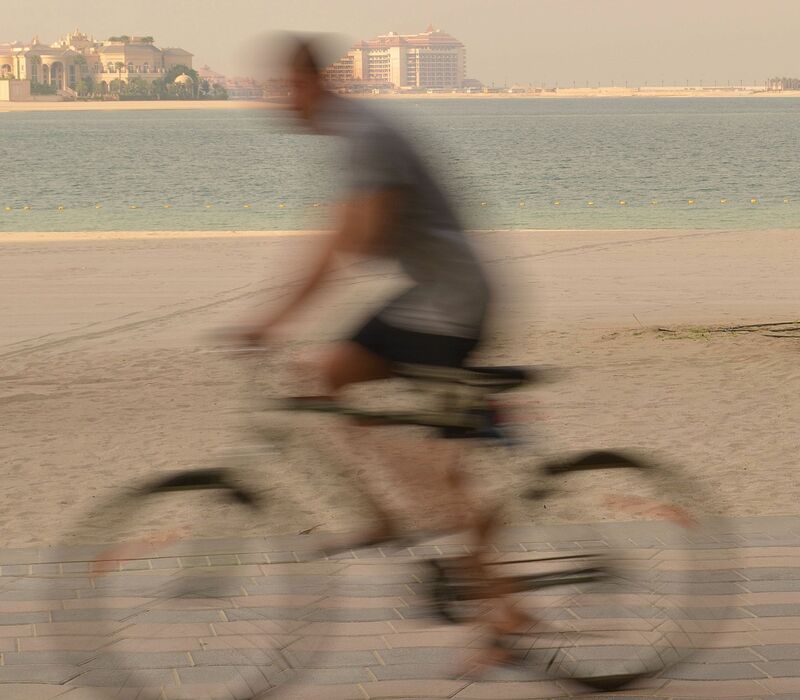 In this image the 1/20 s shutter speed has recorded motion blur with both the bicycle and the rider. It gives the impression of movement and speed. 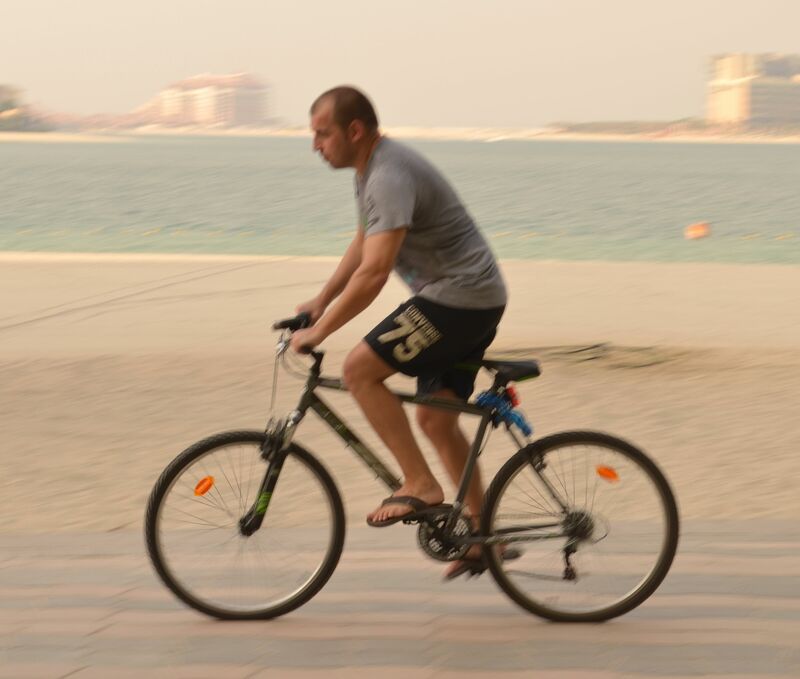 The image taken with a 1/15 s shutter speed has recorded the subject with a high degree of motion blur. While this image does relay the idea of movement it also appears somewhat abstract. Using a slower shutter speed was effective in producing images with motion blur which I believe gives the impressions of movement and speed. 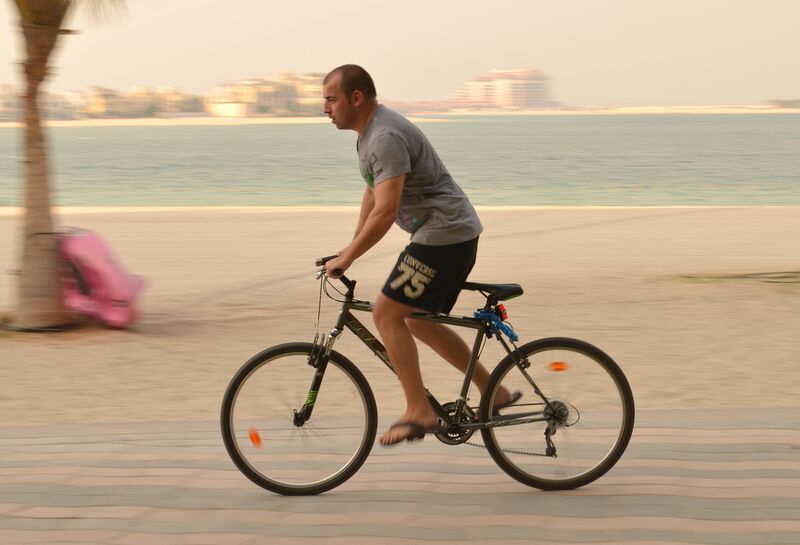 I will continue to experiment with shutter speeds in the next exercise. 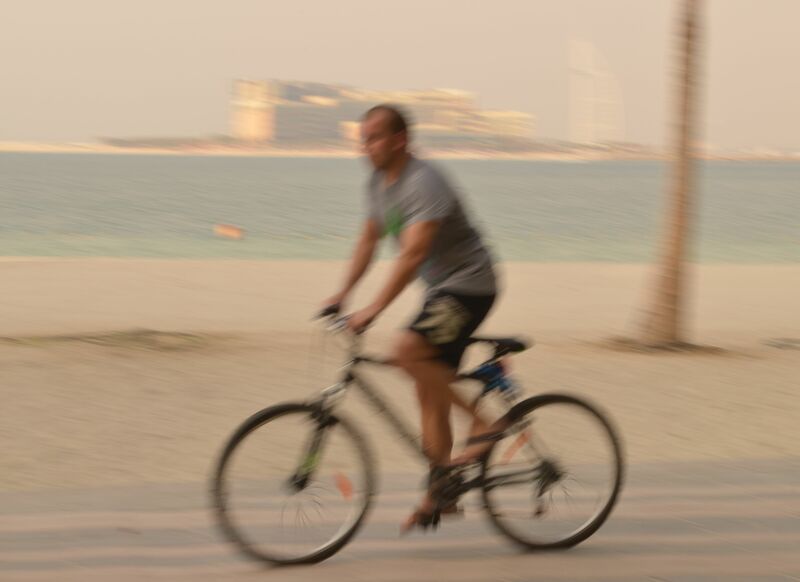 I will also continue to photograph the cyclist at the beach side setting while panning with different shutter speeds. 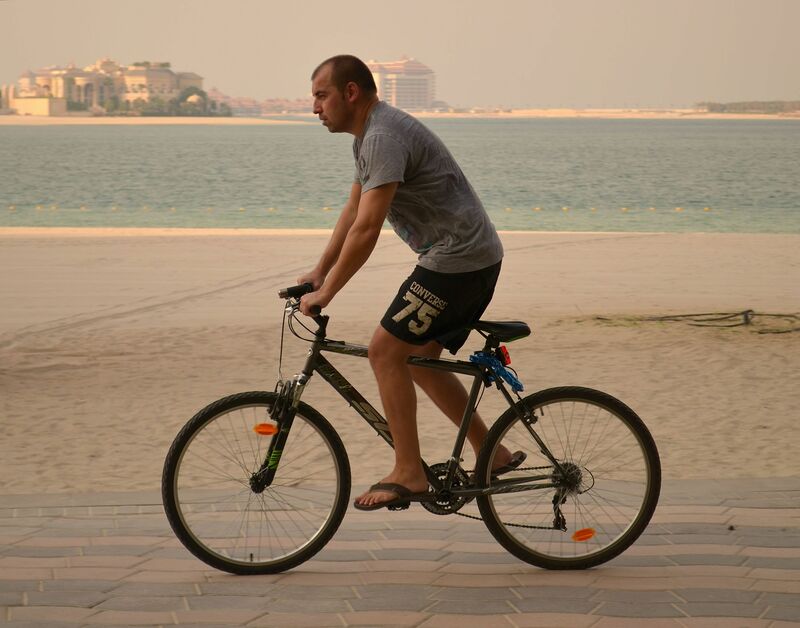 This entry was posted in 03b- Shutter speeds on July 2, 2012 by catherinefinniganphotography.